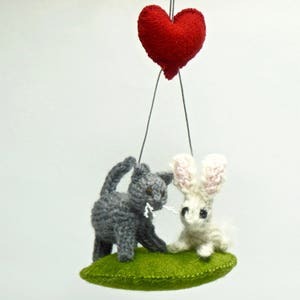 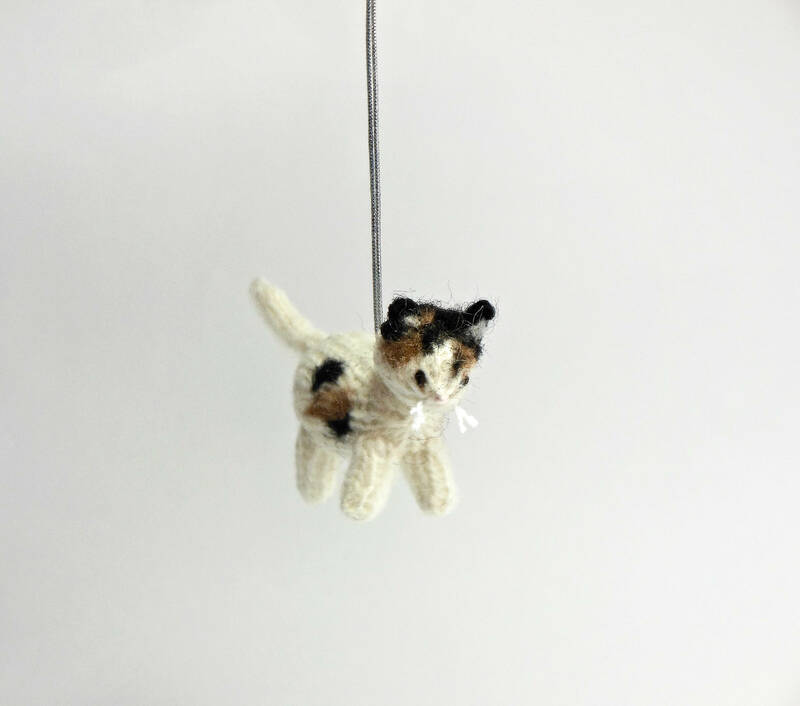 Calling all cat lovers - here is an adorable calico kitty ornament for your holiday fun. 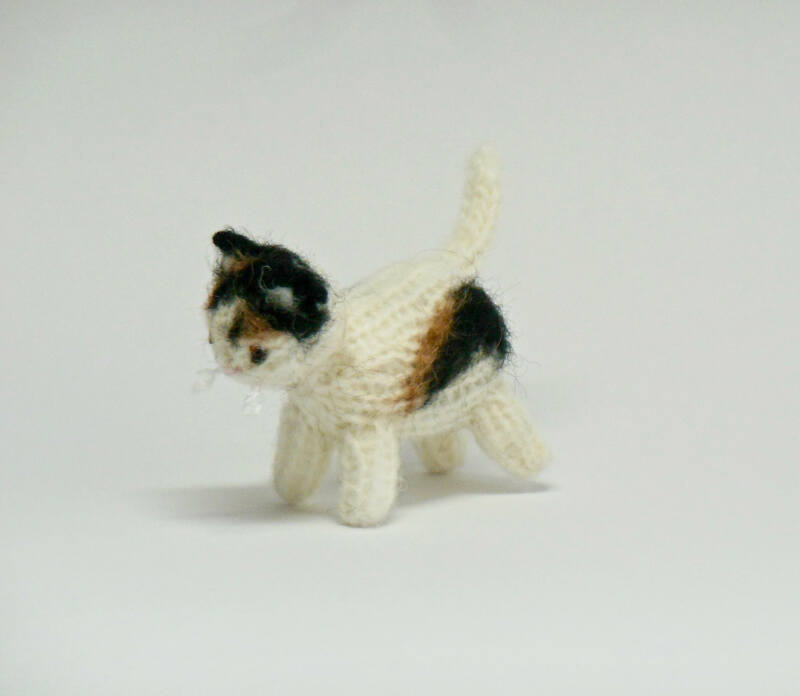 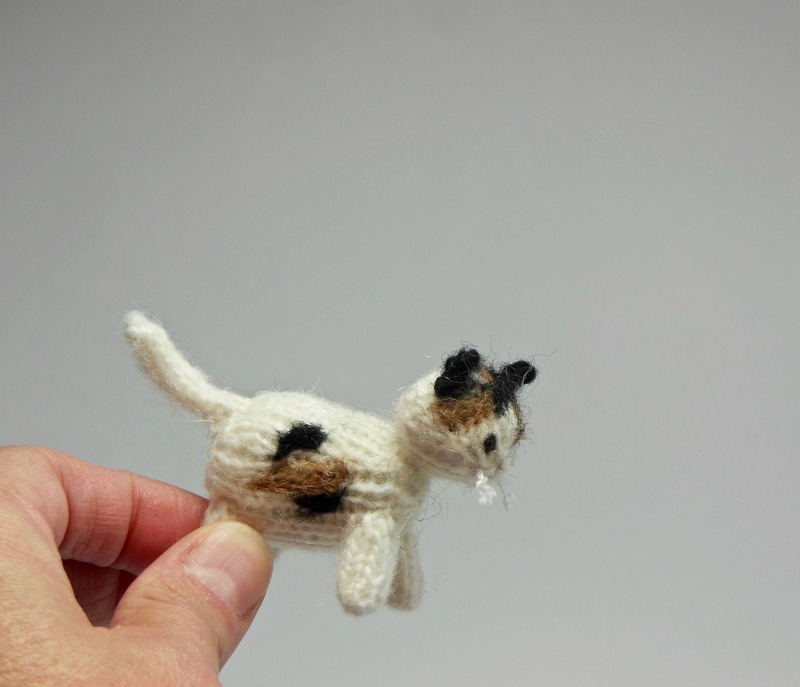 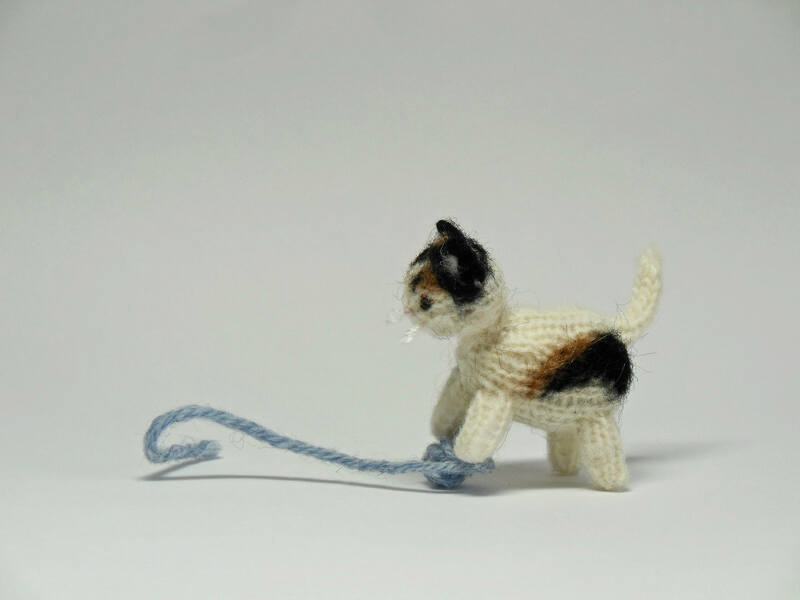 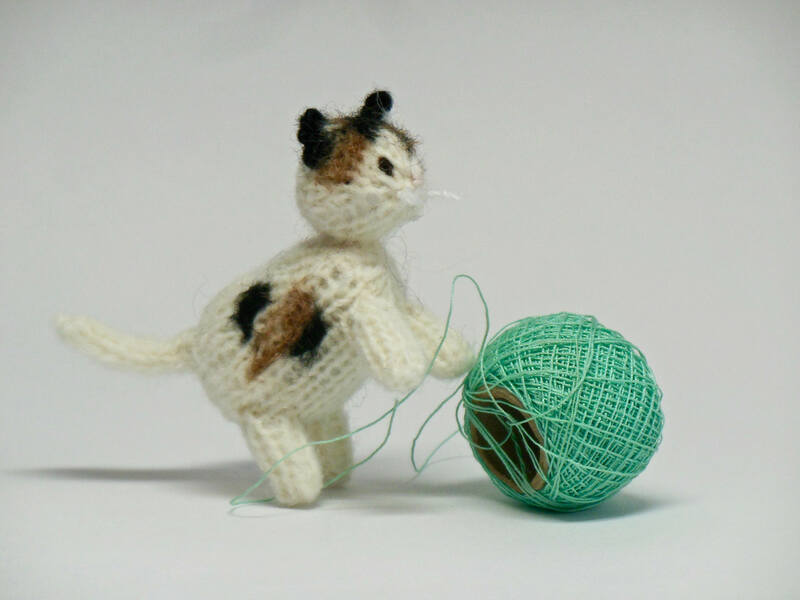 This miniature hand-knit calico cat is is 3" / 7.5 centimeters in length (including the fluffy tail) and 1.75" / 4.5 centimeters high. 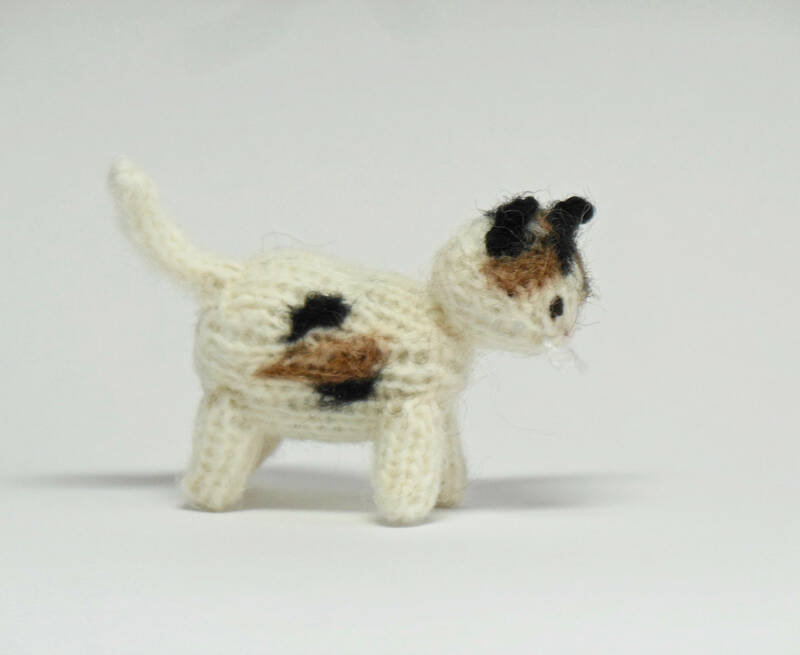 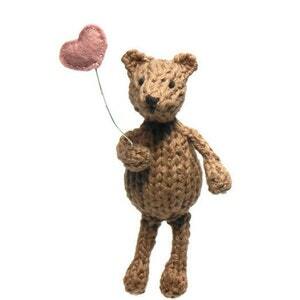 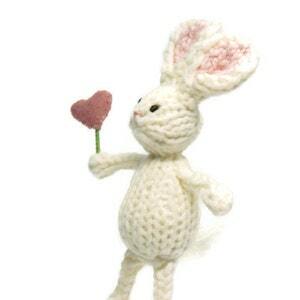 It is knit with tiny needles in an amazingly soft mohair alpaca blend yarn with needle felted calico spots. 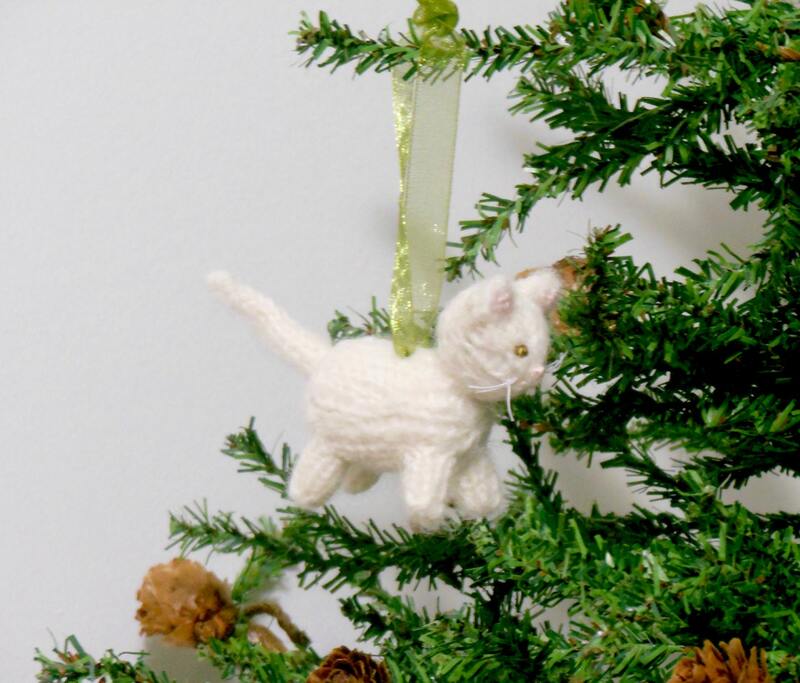 Perfect for holiday decor, dollhouses, miniature collections, and anyone who loves cats. 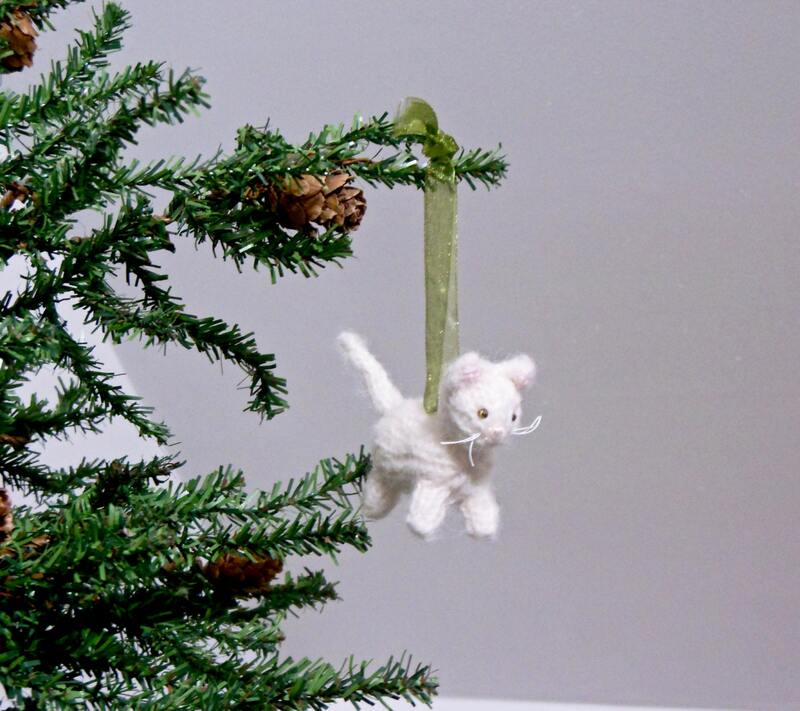 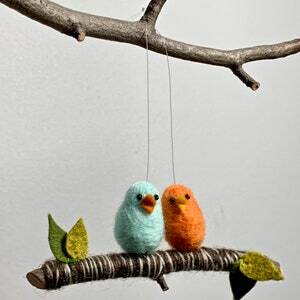 If you would like this as an ornament, please select that choice in the drop down menu - an ornament loop will be attached. 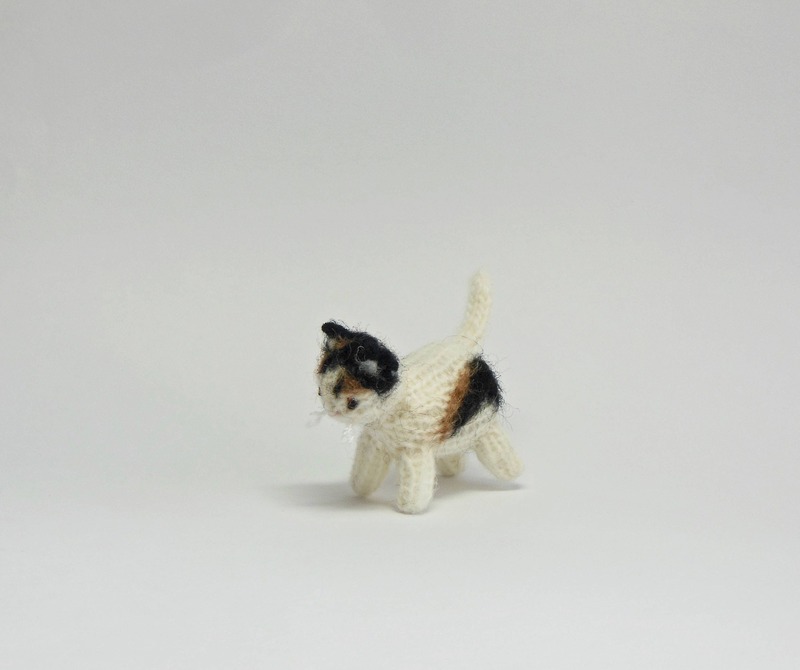 Last picture shows a white cat. 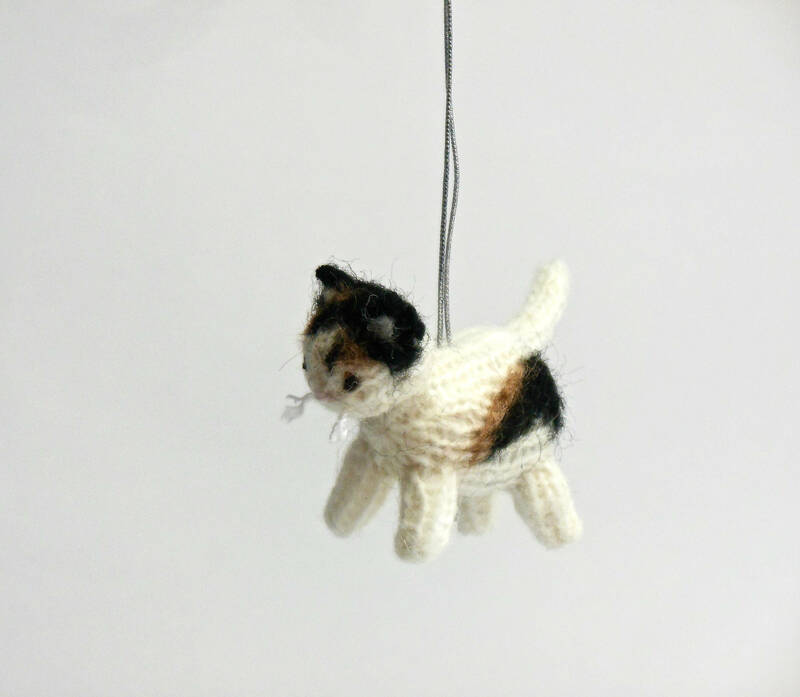 If you are interested in having more than one cat, please contact me.